All of us are very interested in customizing the look of our windows 7. Dock’s are really nice applications to pimp your desktop! My personal favorite! I really love this dock application because it’s the most stable dock app available in the market and that too free! I have been using this from past 3 years. 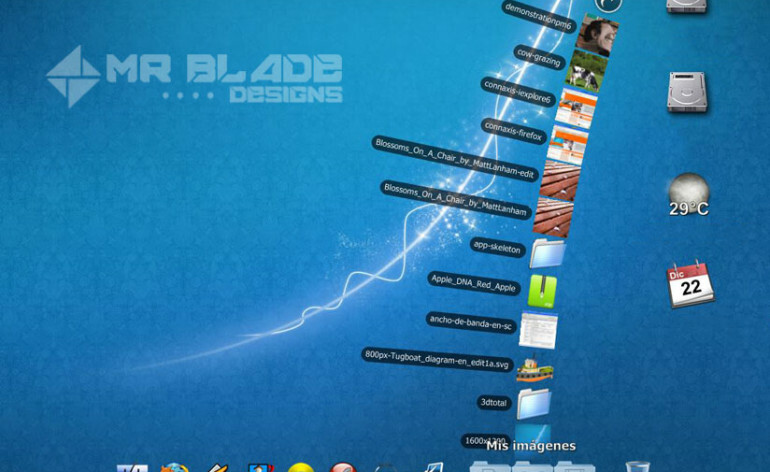 This app sits along one edge of your desktop. It’s modeled after the Mac OS X launch toolbar and contains shortcuts for launching programs and opening files and folders. You can also extend the functionality of the dock using docklets and the look of the dock is customizable. This is the dock app by Stardok Corporation which is a bit popular name out in the market. Getting onto the application, It’s rich in features. Initially you will love this app but after the days pass, it will annoy you by crashing.It’s my personal experience. The dock can be placed on any edge of your screen or in one of the corners. You can completely customize the appearance with themes and custom icons and add functionality with docklets. It’s many features and the ability to minimize programs to the dock makes RK Launcher a great Taskbar replacement. In the end I would recommend to go for Rocketdock because it’s Free, Stable and has millions of ad dons on its site.